PETALING JAYA (Oct 9): The government is mulling a reduction in compliance costs for affordable housing developments by saving developers the burden of undertaking the construction of certain utilities infrastructure. 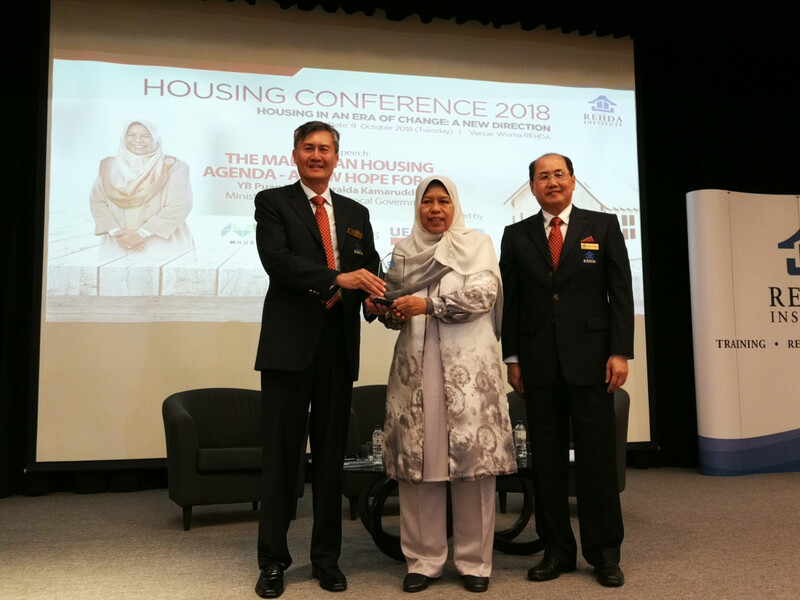 Speaking to reporters at Rehda Institute’s Housing Conference 2018 themed Re-inventing Affordability today, Housing and Local Government Minister Zuraida Kamaruddin said compliance cost, which is estimated to account for 20% to 25% of overall development cost, is one of the factors contributing to high housing prices. In order to address the issue, Zuraida said affordable houses developers will no longer be required to construct certain infrastructure such as TNB substation, water treatment plants and telecommunication equipment at their own cost. “The ministry is taking a two-form approach by empowering house buyers on the demand side and reducing the cost of development on the supply side. “We are going to get them [utility companies] to construct their own utility bases in these housing areas, instead of letting developers bear the cost. Now each [utility company] will be responsible for their own amenities. With that, it will definitely reduce the development cost and thus lower the price,” she said. The Real Estate and Housing Developersʼ Association (Rehda) Malaysia deputy president Datuk Khor Chap Jen, who was also present at the event, concurs that some of the charges should be reduced or abolished to reduce the cost of doing business, so that the savings can be passed on to house buyers in the form of more sustainably-priced housing. “Private utilities companies such as Syabas [Syarikat Bekalan Air Selangor Sdn Bhd], IWK [Indah Water Konsortium], TNB [Tenaga Nasional Bhd] and [TM Bhd] should not be imposing capital contribution charges on developers as they are already required to lay infrastructure in their projects and bring in new customers for these utility companies. Utility companies should revise their own capital to be recovered via target base from consumption or through federal funding from general taxation,” he said in his opening keynote at the conference. Meanwhile, Zuraida said that the ministry is also working with state authorities to identify state-owned lands at highly-accessible locations to build affordable homes. This is expected to bring down costs even further as developers will not be required to pay land premiums for the state-owned lands, she added. “It is also the state government’s responsibility to provide affordable homes for the people in their respective state. So there will be no more issues like giving lands that are situated at unsuitable locations and putting high land premiums [on the lands]. It will be controlled,” she said. In his welcome remarks at the conference, Rehda Institute Chairman Datuk Jeffrey Ng Tiong Lip pointed out that the scarcity of lands for such development and the unsuitability of locations are part of the main structural problems in providing affordable housing. “There are many issues to tackle simultaneously, but if we, as stakeholders from both the private and public sector, are willing to play our part meaningfully in the housing game plan transformation, many of these obstacles can be resolved in the medium to longer term,” he said.